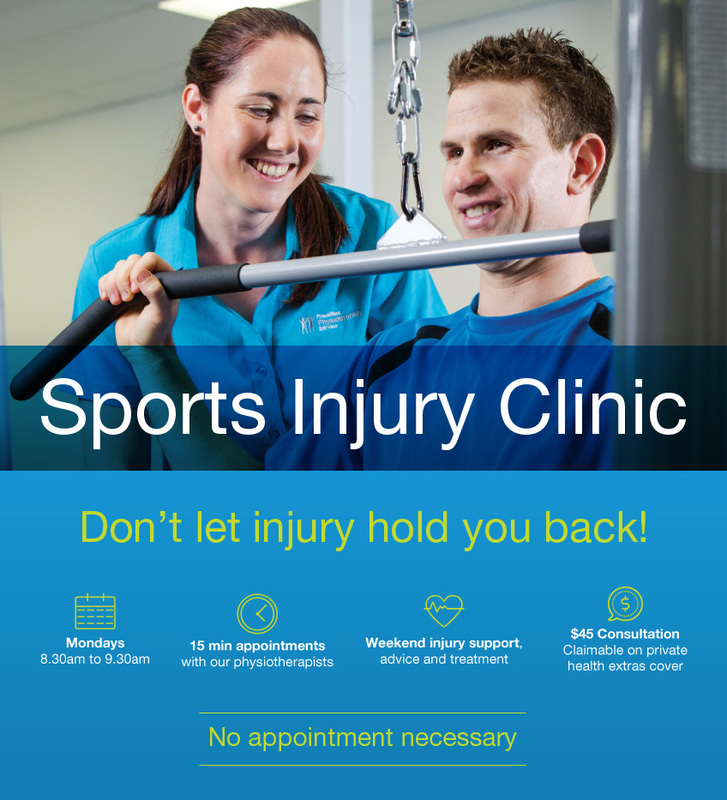 Our sports injury clinics are specially designed to get you back on your feet after a weekend sport injury. If you love playing netball, football, rugby and other weekend sports, you don’t want a training or game injury to hold you back. You don’t need to make an appointment for the Monday morning clinic, just come in for injury support, advice and treatment. Our physiotherapists can give you the best advice to have you back at training or on the court or field as soon as possible. So don’t wait, have your injury looked at straight away. Best of all, the $45 consultation fee is fully claimable on private health extras cover.